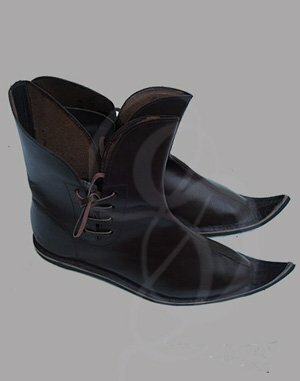 Medieval Cross Lace Boot, Size 11 - These are in closeout, once sold they will no longer be available. 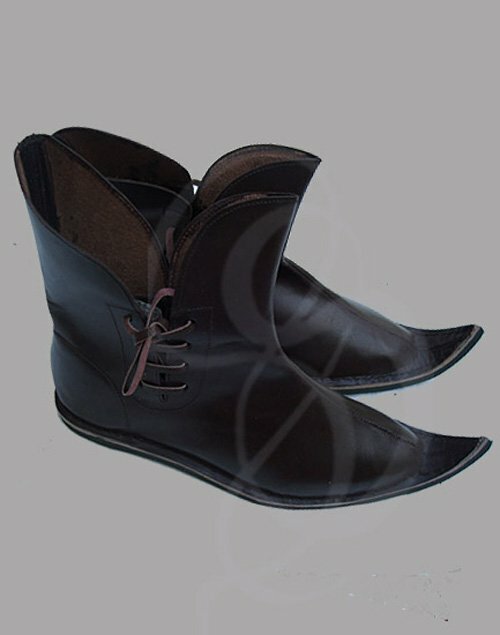 These Medieval boots (Poulaines)and low shoes are suitable for 14th through 15th Century. Leather construction. Please note this is a closeout items and non-returnable.